Siblings Kasen, 14, left, and Kinlie Brennise, 13, hold up their collected winnings from the events of the Moffat County Little Britches Rodeo Saturday afternoon at the Moffat County Fairgrounds. 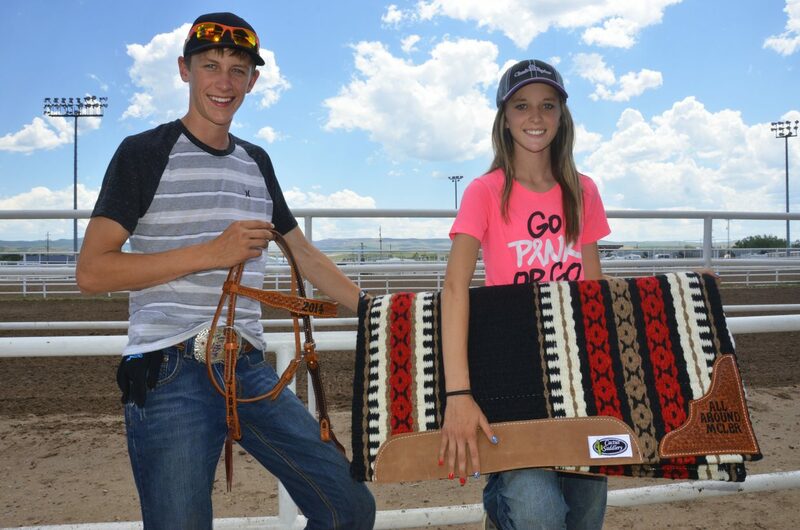 The brother and sister have competed in the rodeo for most of their lives, recently returning from the Junior High National Finals in Des Moines, Iowa, and already planning a trip to the national level of Little Britches in Pueblo at the end of July. For young buckaroos, summertime means the season when they get back in the saddle on a regular basis, ready their lassoing techniques and prepare for some fun with the Little Britches Rodeo. But, perhaps more than that, it’s an opportunity to keep up with those on the circuit. The National Little Britches Rodeo Association hosted its Moffat County meet this past weekend, with 55 total participants convening at the Moffat County Fairgrounds, hailing from around Colorado as well as from Utah, Wyoming and other states. There were 11 local kids representing Craig and the rest of Moffat County at the rodeo, which featured numerous events for competitors ages 5 to 18 in the divisions of Little Wranglers, Juniors and Seniors, beginning Friday afternoon. Siblings Kasen, 14, and Kinlie Brennise, 13, tore up the Junior age group in activities like pole bending, barrel racing, breakaway roping, goat roping, team tying, ribbon roping and flag racing, to name a few. Naturally, some are more favorable than others. “I like the breakaway and barrels because they’re my best events,” Kinlie said. With numerous honors in the sport piling up between them, the Brennises are happy to add some more. The two also recently competed in the Junior High National Finals in Des Moines, Iowa, a trek that saw them both putting all their hearts into the effort, though not placing as high as they’d have liked. 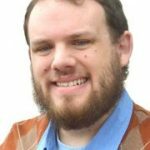 “It was good, but it could have been better,” Kasen said. They’ve already got their sights set on the Little Britches national finals at the end of the month in Pueblo, where last year they received some of the highest accolades. For many, the social scene of the rodeo is just as important as taking the top prizes. Amber Salazar, 11, said one thing she loves about Moffat County hosting Little Britches is to have the many friends she’s made from around the state come up to her neck of the woods. “You get to meet a lot of new people and it’s nice to have some people you know to talk to when you go to a rodeo out of town,” she said. Amber’s friend, Miranda Hammer, 12, of Burns, and Miranda’s mother, Melinda, have a great appreciation for when they come to Craig, with the efforts of Little Britches leaving all those competing “like an extended family,” Melinda said. There’s also a sense of awe reserved for the winners of each day, with equipment like saddles, saddle pads and bridles among those going to those who have proved themselves. Miranda said there’s a great deal of honor for those who are outfitted entirely with things they’ve earned. “You really get to ride with pride,” she said.